Written and completed in 2015, the subject of this project and exegesis was the representation of the feminine in video games. 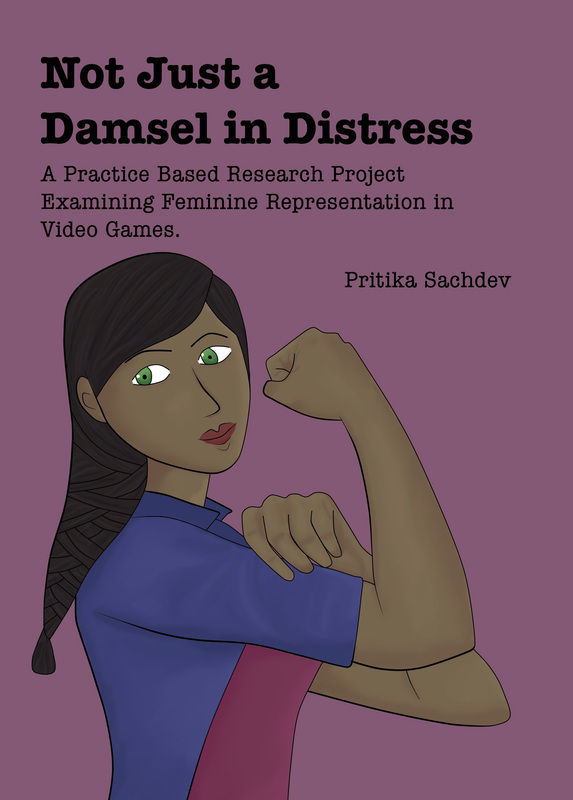 The aim of this practice-based research is to investigate feminine representation in video games. A third person role playing game has been created, primarily focusing on the player character and her ability to demonstrate strength while still displaying feminine attributes. The secondary characters and the surrounding game narrative help emphasise the player characters traits and provide points of conflict, which gradually reveals the characters personality. To help supplement this practice-based research, an accompanying exegesis has been written on theories of gender, video game narrative and character. Chapter One addresses gender relations, representation, performativity, queer notions of gender and gender stereotypes. Chapter Two outlines the implementation of narrative in video games. The chapter then moves on to examine the creation video game characters, their uses and primarily analyse the player character. Through examining these specific theories, the game was then able to apply some of the endings, which helped develop the characters and game world. Chapter Three analyses the created project and it’s relevance to the topic and what it says about the nature of video game characters. Through the creation of this project, it can be concluded that a feminine representation in video games does not mean that a character must necessarily be seen as a weak—willed damsel in distress. Femininity can be applied to a player character where she can still be seen as strong in a positive and agentive light. Feel free to read the paper and play the accompanying game.